The general project description is to construct a shared use path (part of the Louisville Loop) along McNeely Lake from Cooper Chapel Rd to Cedar Creek Rd, to connect with the access road in the vicinity of the soccer facilities in the south area of McNeely Lake Park. The purpose of the project is to enhance the park experience by providing connectivity to and within the park. 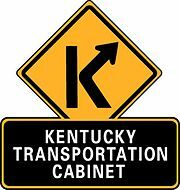 This extension of the Louisville Loop will provide a connection between Cooper Chapel Road and Cedar Creek Road. This connection will allow access to existing recreational activity areas, as well as, to previously inaccessible areas. The need for this project is identified through the evolving land use changes surrounding the park. The land is changing from lower density agricultural lands to higher density residential areas in southern Jefferson County. There is demand for better connectivity to the developed recreational facilities within McNeely Lake Park. This project is identified in the Louisville Loop Master Plan and the McNeely Lake Park Master Plan. The Louisville Loop is a shared use path that once completed will encircle the city of Louisville. It is estimated to be a 100-mile system that will link existing and new parks with the surrounding neighborhoods and communities. The path is intended to be both recreational and functional. It provides alternative transportation routes for pedestrians, bicycles, equestrian, and transit. It will provide linkages not only within the park, but also, to the surrounding neighborhoods and schools, such as Wilt Elementary School. This project will also provide an ecological stepping stone between Jefferson Memorial Forest and The Parklands of Floyds Fork. The goals of this project and the Louisville Loop are to improve their users health and fitness, celebrate the natural and cultural history of Louisville, enrich lives with public art, and serve as a catalyst for economic development. The preferred alternative constructs approximately 1.65 miles of shared use path, extending from the trailhead area to the northern entrance of McNeely Lake Park off Cooper Chapel Rd. This alignment travels just north of the existing overhead electric lines and just east of the proposed bridge across the McNeely Lake Dam Spillway. The path would extend on top of the dam, and generally follow the existing utility easement and lake edge until reaching the boat ramp parking area. The alignment includes a second pedestrian bridge to extend across a short cove of McNeely Lake, as well as, reconstructing/reconfiguring the boat ramp parking lot and boat ramp. This alternative terminates at Cooper Chapel Road. This alignment was chosen because it further enhances user experience, better meets sight distance requirements, and minimizes the limits of disturbance. In order to better match the surrounding land uses, the alignment will be constructed with an asphalt surface through the wooded section of the trail (from the start of the project at Cedar Creek Road to the apartment complex property), and then concrete surface through the managed portions of the trail (the apartment complex property to Cooper Chapel Rd). It effectively meets the purpose of the project by providing connectivity between Cooper Chapel Road and Cedar Creek Road. It provides connection to existing recreational activity areas, as well as, to previously inaccessible areas. The project further enhances the recreational facilities within the park. Reconstructing the boat ramp parking lot allows for the installation of pedestrian facilities that are not existing today. It allows this area to be brought up to ADA standards, and provides full access for bicyclists and pedestrians with the trail. This alternative also reduces the conflict points by eliminating the necessity to cross the driving entrances to the parking lot. Your comments will be used in determining any potential effects the proposed path could have on McNeely Lake Park or affect the activities, features, or attributes that make the park a Section 4(f)-eligible property.